... to get a radio show to you. 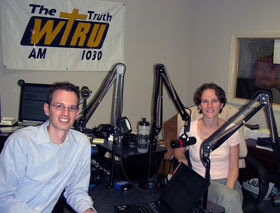 This morning my wife Christine joined me on the show to share how we save over $1,000 each month in our house. 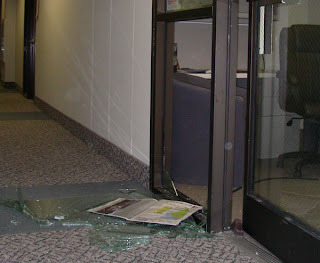 We had a problem getting into the studio, but we did not let a pane of glass stop us. We broke in a few minutes before going live.